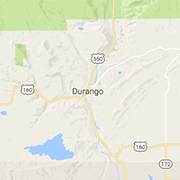 Most popular full service salon, spa, and barber in Durango, Colorado. Services include hair and makeup for weddings, massage, nails, waxing, medical esthetics, and skincare. With 15+ years of experience helping women achieve fuller eyelashes, natural eyebrows and clear skin, Jasmine Bishop offers expert extensions, microblading, and microneedling. Bring out your best U with the help of Studio U’s professional color, cut, makeup and extension services. Join us in our relaxed, quiet, salon and hone your personal image!